It’s Hard to Imagine, but at one time Nancy and John had no idea that they could walk the World….. Yes it’s true! We joined Y Striders in 2000 to walk or run and to gradually increase our levels of endurance so that we could cover long distances. Over recent years we have trekked many wonderful walks: various sections of the West Australian Bibbulmun Track, in New Zealand the 78.4km Heaphy Track and the 70km Queen Charlotte Track, 238km of the Camino de Santiago trail – the Portuguese Coastal route: Oporto to Santiago de Compostela, the 183km West Highland Way in Scotland and recently completed the 320km Coast to Coast walk from west to east of England (pictured here). Our next great walk is the Te Araroa Track which is a pathway along the entire length of the two islands of New Zealand from north to south, some 3000kms. We completed the first stage of this journey through the North Island in March 2017 – a total of 1700kms trekking from north to south. The South Island component (stage 2) will commence in 2018. John has also successfully competed in marathons in Scotland, New York and Western Australia, the NZ IRONMAN and several WA 70.3 Ironman events. In September 2016 he completed the IRONMAN 70.3 World Championships in Wooloomba, Queensland and in December 2016 he completed the Busselton IRONMAN. We thank Y Striders for getting us started and on the road to fitness. 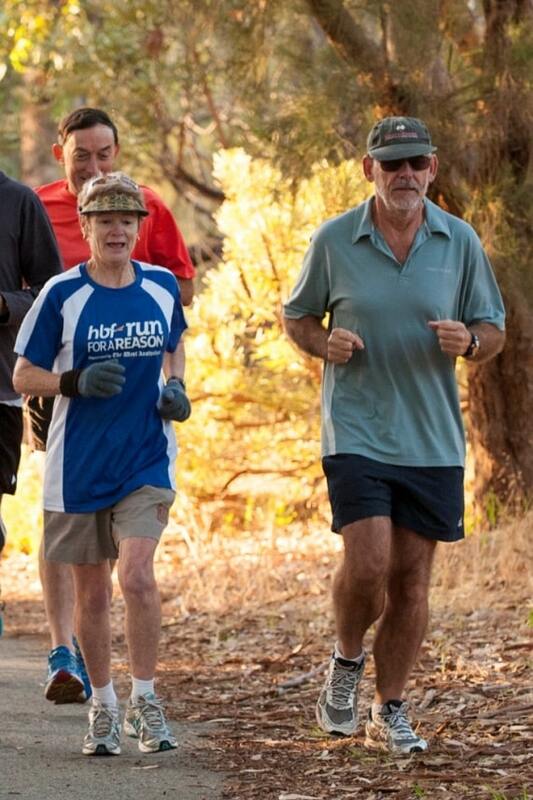 At one time Leonie had no idea that she would be able to participate in Fun Runs…. I joined Y Striders in the year 2000 and had no intention of ever becoming a runner! But after a short time it just evolved and I began participating in Fun Runs. Since joining the club I have completed a grand total of 13667kms (which is more than one quarter of the way around the world). I have completed 99 Fun Runs with a combined total of 810kms and hope to reach 100 Fun Runs before the end of 2017. I am now looking forward to my next big challenge. I wanted to find a club where I could achieve fitness by regular running exercise as well as a group that had a good social interaction. I was in my mid 50’s and had never run for fun before. I found Y Striders in 2012 and since then I have never looked back. 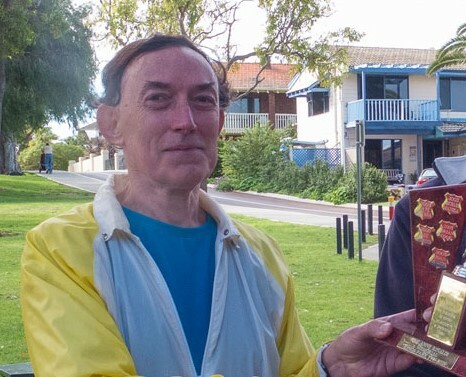 I now regularly run 10 to 14kms with a time of 5.8 minutes per km and have been the winner of the ‘Personal Best’ award for 2 years in a row. I love the social activities – in April 2016 the Club went on a 3 week hiking trip to New Zealand’s south island – where we were just one big happy group having a great time in a spectacular place. And recently in June, the Club went to Bridgetown to walk 20km walk on a section of the Bibbulmun Track. It probably all started when we planned to walk the Coast-to-Coast in England – all 307kms of it! We were having trouble getting motivated to put in some serious training by ourselves. Hence the decision to join Y Striders in 2010. 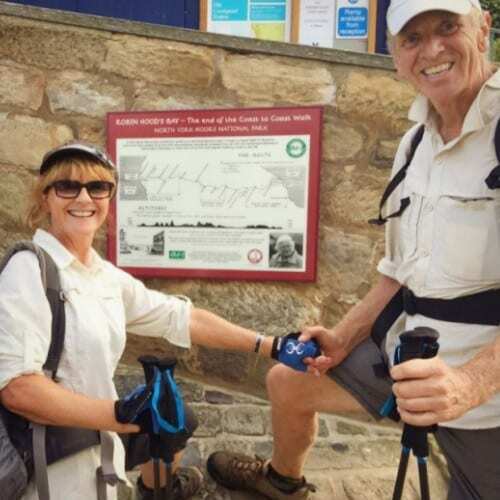 The encouragement, camaraderie and friendship of like-minded people certainly provided the impetus and enthusiasm to get fit, so that we would be able to make the most of the walk. As a result of the support, skills and knowledge of the dedicated trainers at Y Striders and the general support offered by the group, we have been able to enjoy a variety of walks. • Making it to the top of a few mountains including Cradle Mountain, Bishop and Clarke on Maria Island (Tas), Ben Nevis in Scotland, Mount Gower (Lord Howe Is) and Mount Kinabalu (Sabah) – which is a real ‘bucket-list’ item! • Various sections of the Bibbulmun Track. Overall, quite a few kilometres. And when we come back, there are always lots of Y Striders social activities, many which incorporate a walk, a bike ride or other activity – all great fun. Y Striders – a big THANK YOU….what a great group to be a part of!! 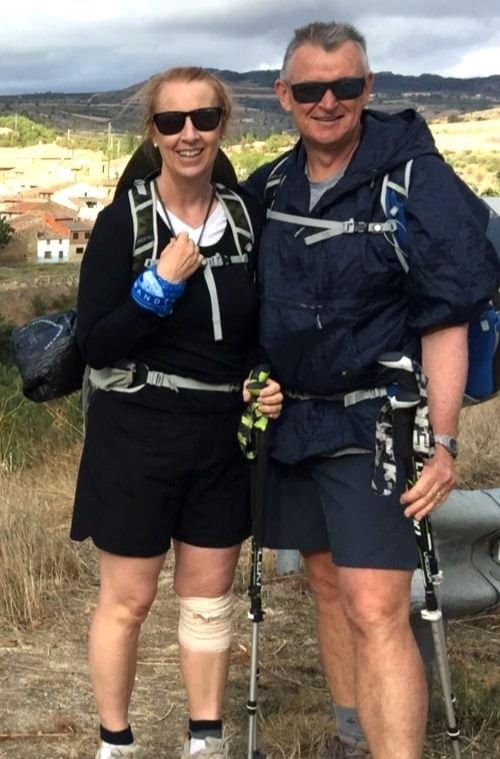 It’s Hard to Imagine anyone trekking the Kokoda Track but Kerrie did…. 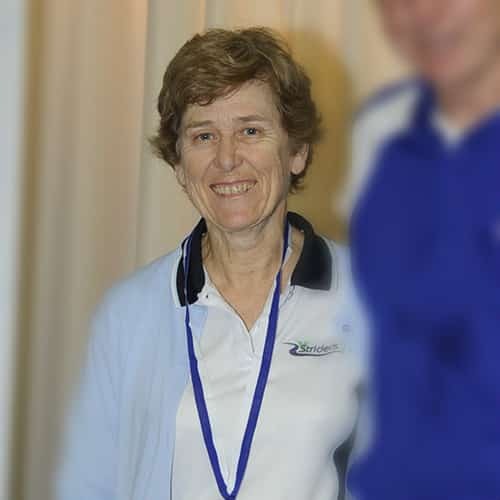 I’ve always been an active person, so when I arrived in Western Australia I looked for a Club that could provide me with the physical exercise that I needed, plus a way to meet new friends. 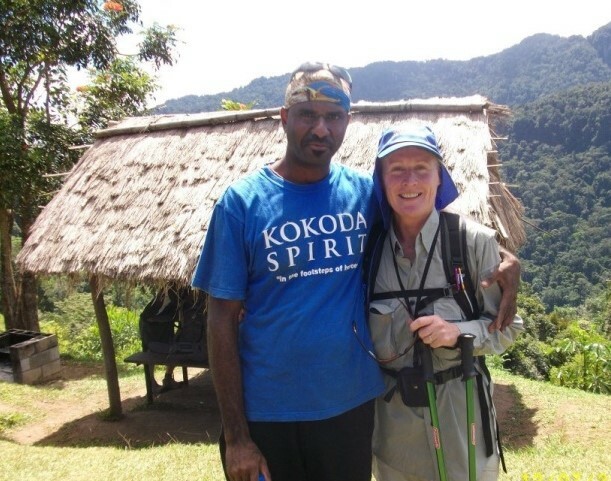 I joined Y Striders in 2010 so that I could keep training for one of the many items on my ‘bucket list of things to do’ – trekking the Kokoda Track – all 96 kilometres of a single-file foot thoroughfare through the Owen Stanley Range in Papua New Guinea, along what was once the location of a 1942 World War II battle between the Japanese and Allied (primarily Australian) forces. I have Y Striders to thank for keeping me motivated in building my endurance. I am delighted to say I achieved my goal the following year and since then have been known as Kokoda Kerrie by my fellow Y Stridians. It is a dream come true when you participate in, and complete the Sydney City2Surf. This group of Y Striders achieved that goal in 2014! 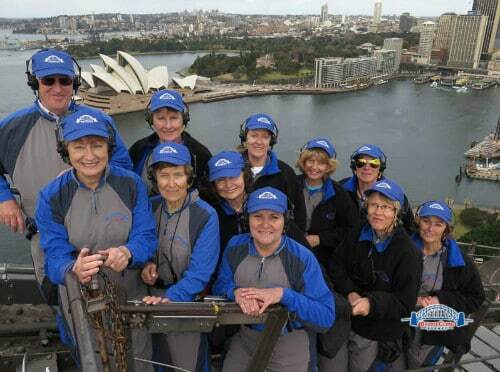 Not only did they put in many weeks of training prior to the event, but they met up in Sydney, took part in the City2Surf and then followed that up with a climb to the top of the Sydney Harbour Bridge. They did it all again in 2015 and will do it again in 2017. 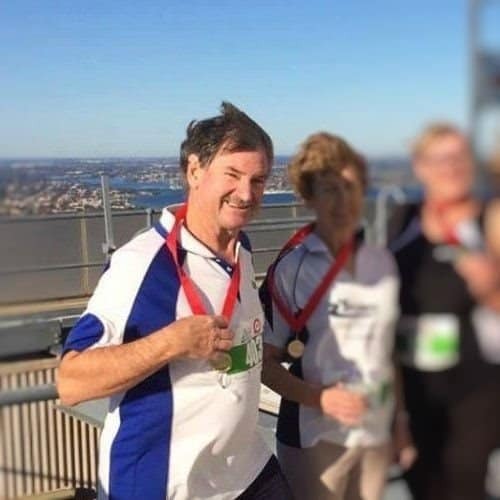 Five years ago, I was doing rehabilitation exercises with Perth’s leading Professor after a major cardiac event. I also had a personal trainer specialising in rehabilitation. Enter Y Striders! When I first started with Y Striders I could not keep up with others so I knew I was in a bad place. And here I am five years later and the result is astounding! A few months ago, I did a heart stress test to check how I was going. I ate it up, apparently more than doubling the usual time a person could last exercising in this test. I owe a debt of thanks to the club for keeping me motivated. After much planning and many years of anticipation Dave and I set off on the Camino Frances in September 2017. We set off on our adventure through the Pyrenees and the first steps on the Camino were very steep and this didn’t change for about 26km! The scenery was spectacular but 30 km later we were glad to have reached our destination. We walked through so many small villages of rural Spain each different in their own way with many having local events for us to enjoy. We had amazing and interesting accommodation in each village, ranging from hotels, B&B, castles, monasteries, albergues and paradors. It was always nice to arrive at our accommodation and see our luggage waiting there for us! We arrived in Santiago de Compostela after 3 weeks of walking some 500km with an average of 25km per day. We would absolutely recommend this experience to anyone who is interested. Many Pilgrims do the journey in shorter 1-2 week spurts. Or you could just choose a smaller part of the Camino if you think the length is suitable for you. It was great to belong to Y Striders to help us prepare and maintain our fitness for our adventure.